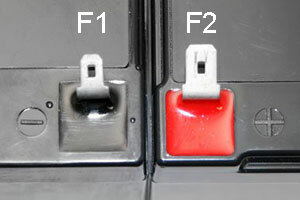 MOST CUSTOMERS WILL USE THE F2 Size Terminals. If you are replacing a similar battery, please measure the terminal width of your existing battery or female wire connector. Very few batteries in this size will have the F1 terminal. If you are replacing the screw on terminal batteries, then order the F2 size terminal. 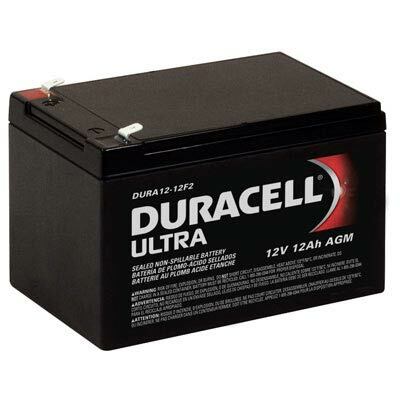 Universal Sealed Lead Acid Battery with Flat Terminals used on the majority of ride-on toys and scooters we carry. If you are not sure which battery you need, simply match the voltage, amp hour and physical size. This battery is available in two flat terminal widths.